Vitamin D is important in the formation and maintenance of healthy bones and teeth. It enhances calcium and phosphorus absorption and utilization. In fact, babies who do not get enough vitamin D are at risk of getting rickets, a disease that affects the way bones grow and develop. But do not worry, this is easily avoided by adapting your baby’s diet in the following way. While breast milk offers the best nutrition for your baby, the average vitamin D content of breast milk is low. That is why the Canadian Paediatric Society, Health Canada, and the Dietitians of Canada recommend that all breastfed, healthy term babies in Canada receive a daily vitamin D supplement of at least 400 IU. 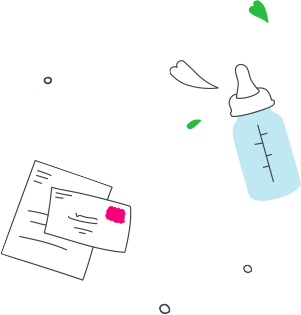 This includes partially breastfed infants who are being supplemented with formula. Formula-fed infants do not require a vitamin D supplement because infant formula contains vitamin D.
Health Canada. Nutrition for Healthy Term Infants: Recommendations from Birth to Six Months. 2015. Dietitians of Canada. Vitamin D: What you need to know. 2013. Canadian Paediatric Society. Position Statement — Vitamin D supplementation: Recommendations for Canadian mothers and infants. Reaffirmed 2017.